Ph.D., Indiana State University, U.S.A.
Dr. Liu's research field includes remote sensing, GIS, urban environmental change, climate change and sea level rise, publich health, and flooding assessment and monitoring. She has worked in the United States on diverse research projects including such topics as land use and land cover, urban heat island, remote sensing and GIS in epidemiology, human-environment interactions, and environmental health. She is a member of American Society for Photogrammetry and Remote Sensing and a member of Association of American Geographers. 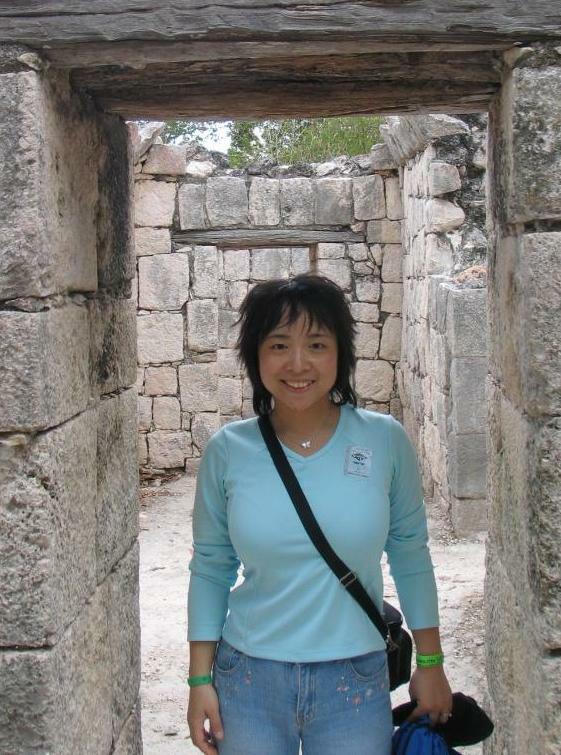 To learn more about Dr. Liu's recent research activities, please visit her E-Lab. Liu, H. (Co-I, PI: Zhang, Q.) 06/2011-09/2012. Accessibility and availability of emergency food assistance and food insecurity among American children. Sponsored by US Department of Agriculture subcontracted to University of Kentucky Center for Poverty Research. $74,928. Liu, H. (PI, #2) 05/15/2011-12/2011. The disparate impacts of sea level rise on Hampton Roads' underserved populations residing in the Chesapeake Bay's coastal zone: A multidisciplinary approach to understanding the impact of various remediation policy options to address contaminated environments. Sponsored by ODU Perry Fund for the Study of Critical Issues and Office of Research. $37,800. Liu, H. (Co-PI, PI: Behr, J.) 3/1/2011-1/31/2012. Mapping neighborhood community vulnerability and medically fragile populations in Hampton Roads: Assisting localities to plan for and protect our citizens in the event of natural disasters. Sponsored by ODU Office of Research. $113,440. Liu, H. (Co-PI, PI: Gaff, H.) 7/1/2010-6/30/2011. Impact of climate on the introduction of a zoonotic disease in the United States: A focus on Rift Valley Fever. Sponsored by Department of Homeland Security (DHS) National Center for Foreign Animal and Zoonotic Disease Defense Texas AgriLife Research. $91,000. Liu, H. (PI) 05/2010-08/2010. Examining the spatial-temporal effects of urban heat islands on West Nile Virus dissemination: A study of Orleans Parish, Louisiana and Mobile County, Alabama. Sponsored by ODU Office of Research Summer Research Fellowship Program (SRFP). $7,000. Liu, H. (PI). 08/2010-12/2010. Faculty Proposal Preparation Program. Sponsored by ODU Office of Research. Liu, H. (PI) 01/2010. Inventory and mapping environmental management systems in Hampton Roads localities. Sponsored by ODU Office of Academic Affairs Faculty Development Funds. $32,000. Liu, H. (PI) 05/2009-08/2009. Integrating remote sensing data and inundation ocean models to map coastal areas and improve flood predictions. Sponsored by ODU Office of Research Summer Experience Enhancing Collaborative Research (SEECR) program. $17,000. Liu, H. (PI) 2005. Pilot Research Funding. Sponsored by Center for Urban and Environmental Change, Indiana State University. $1,700. Liu, H. (PI) 2005-2007. Student Research Fund. Sponsored by School of Graduate Studies, Indiana State University. $1,330. Liu, H. and Q. Weng. 2012. Environmental factors and risk areas of West Nile Virus in the southern California, 2007-09. Environmental Modelling and Assessment, accepted Dec 2, 2011. Liu, H. and Q. Weng. 2012. Enhancing temporal resolution of satellite imagery for public health studies: a study of West Nile Virus outbreak in Los Angeles in 2007. Remote Sensing of Environment, accepted June 29, 2011. Liu, H., Weng, Q. and D. Gaines. 2011. Geographic incidence of human West Nile Virus in northern Virginia, USA, in relation to incidence in birds and variations in urban environment. Science of the Total Environment, 409(20), 4235-4241. Ezer, T., and H. Liu. 2010. On the dynamics and morphology of extensive tidal mudflats: Integrating remote sensing data with an inundation model of Cook Inlet, Alaska. Ocean Dynamics, 60, 1307-1318. doi:10.1007/s10236-010-0319-x. Weng, Q., X. Hu, and H. Liu. 2009. Estimating impervious surfaces using linear spectral mixture analysis with multi-temporal ASTER images. International Journal of Remote Sensing, 30(18), 4807-4830. doi:10.1080/01431160802665926. Liu, H., and Q. Weng. 2009. An examination of the effect of landscape pattern, land surface temperature, and socioeconomic conditions on WNV dissemination in Chicago. Environmental Monitoring and Assessment. 159:143–161. Liu, H., and Q. Weng. 2009. Scaling effect on the relationship between landscape pattern and land surface temperature: a case study of Indianapolis, United States. Photogrammetric Engineering & Remote Sensing, 75(3):291-304. Ezer, T., and H. Liu. 2009. Combining remote sensing data and an inundation model to map tidal mudflat regions and improve flood predictions: A proof of concept demonstration in Cook Inlet, Alaska. Geophysical Research Letter, 36, L04605. doi:10.1029/2008GL036873. Liu, H., Q. Weng, and D. Gaines. 2008. Spatio-temporal analysis of the relationships between WNV dissemination and environmental variables. International Journal of Health Geographics, 7 : 66. doi: 10.1186/1476-072X-7-66. Liu, H., and Q. Weng. 2008. Seasonal variations in the relationship between landscape pattern and land surface temperature in Indianapolis, U.S.A. Environmental Monitoring and Assessment, 144:199-219. Weng, Q., H. Liu, B. Liang, and D. Lu. 2008. The spatial variations of urban land surface temperatures: pertinent factors, zoning effect, and seasonal variability. IEEE Transactions on Geoscience and Remote Sensing, 1(2):154-166. Weng, Q., H. Liu, and D. Lu. 2007. Assessing the effects of land use and land cover patterns on thermal conditions using landscape metrics in city of Indianapolis, United States. Urban Ecosystems, 10:203-219. Liu, H., G. Zhu, and K. Huang. 2003. Design of the examination system based on World Wide Web by the use of ASP Technology (in Chinese). High Level Education Research in Science and Engineering, 3, 53-55. Huang, K., F. Bian, H. Liu, and L. Yu. 2003. The investigation of EJB web of telegraphy operation system (in Chinese). Science & Technology Progress and Policy, 20, 268-269. Zhu, G., S. Dai, and H. Liu. 2001. The Design of Multimedia CAI Packet of “Map Analysis and Application” (in Chinese). Cartography, 3, 37-38. Nominee for the Teaching with Technology Award. Old Dominion University. 2010. Shining Star Award. Division of Student Affairs. Old Dominion University. 2010. Excellence in Promoting Undergraduate Research. Old Dominion University. 2010. Excellence in Promoting Undergraduate Research. Old Dominion University. 2009. Benjamin Moulton scholarship. Department of Geography, Geology, and Anthropology, Indiana State University. 2007. Outstanding Research Graduate Student. Department of Geography, Geology, and Anthropology, Indiana State University. 2006. Outstanding Leadership & Service Award. Chinese Students and Scholars Association, Indiana State University. 2005. Outstanding Leadership & Service Award. Chinese Students and Scholars Association, Indiana State University. 2004. GIS: ArcGIS Desktop, ArcGIS Server, ArcSDE, ArcIMS, Surfer, GRASS, MapServer, and GeoDa. Remote sensing: ERDAS Imagine, ENVI + IDL, and IDRISI. Cartography: CoreDraw, FreeHand, and AutoCAD. GPS: Trimble software (GPScorrect, GPS Analyst, GPS Pathfinder, and TerraSync), Garmin, and Earthmate. Database Management Systems: ArcSDE, SQL, and MS Access. Statistical analysis: S-Plus, SPSS, and StatScan.